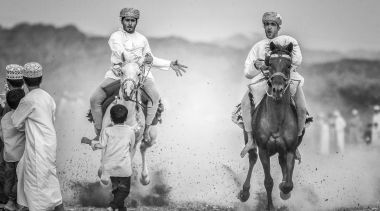 Cape Town: The Sultanate, represented by the Photographic Society of Oman, won the gold medal in the 19th FIAP Nature Biennial 2018 and the Honorary Award in the 34th Black and White Biennial held by the International Federation of Photographic Arts (FIAP) every two years for its member states. The Nature Biennale aims to highlight the beauties of nature seen by photographers that captivate the hearts and inspire the photographer to explore the details of their wonderful colours and gorgeous dazzling moments. Russia topped the results of the Biennale by winning the World Cup in the Digital Photo with a total of 248 points. The Sultanate won the gold medal of the competition with 232 points, ahead of the silver medalist Saudi Arabia with 221 points, and the bronze medalist South Africa with 205 points. The Sultanate also took part in the printed photo exhibition in the Nature Biennale with (10) works in the Omani Turtle theme. It was ranked eleventh in the country level. Photographer Ismail bin Abdullah al Farsi won the individual level. On the other hand, the Sultanate received the honorary award in Black and White Biennial. A ceremony to honour the winning countries will be held on the sidelines of FIAP conference and congress, which will be held from 11 to 18 August 2018.